Super Eagles Goalkeeper, Ikechukwu Ezenwa put up a fantastic show in Nigeria’s second match of the on-going WAFU Cup with his heroics ensuring the home-based national team held Mali to a goalless draw. Yesterday’s Group A match at the Cape Coast Sports Stadium was Ezenwa’s third game for Nigeria in less than three weeks and he showed the confidence the international run has brought to his game. 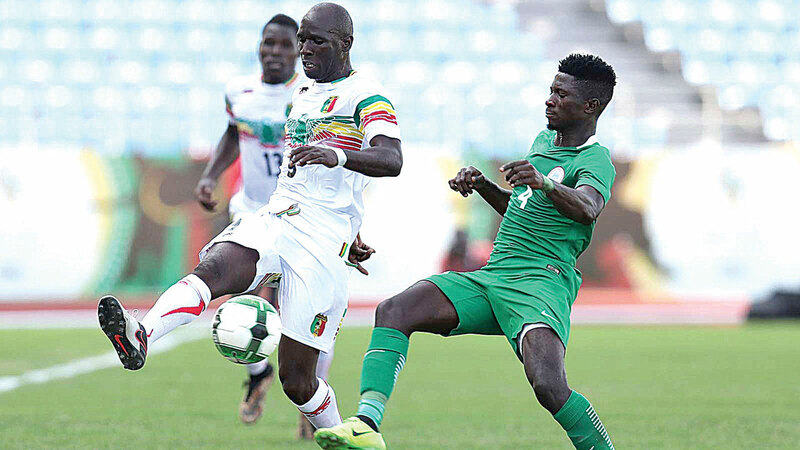 As early as the eighth minute, the Malians began their onslaught on the Nigerian goal, but Mohamed Traore frittered away the opportunity the goalmouth scrambled presented to the Francophone Eagles as he volleyed over the target from 16-yards out. Ten minutes later the Super Eagles had their first shot on goal when Uche Akas fired a stinging 22-yard free-kick into the arms of the Malian keeper. In the 33rd minute Nigeria came close to scoring again when Stephen Eze met a corner-kick with a strong header, but his 10-yard effort was well-saved by the goalkeeper. Neither side could break the deadlock before the half time whistle. The second half started very slowly with the first attempt on goal only coming on the hour mark when Boubacar Samassekou met a free-kick from the left, but his ten-yard header sailed over the Nigerian goal. In the 69th minute Moussa Kone was afforded a great chance to score when he drove into the box, but with just Ikechukwu Ezenwa to beat he fluffed his shot and the Super Eagles keeper made a comfortable save. A minute later Olamileka Aniyikaye came to the rescue for Nigeria when he cleared a 12-yard shot from Mandala Konte off the goal line with his head. Nigeria threw players forward in the final 10 minutes of the game and nearly stole the win in the 85th minute when Friday John met a free-kick from the left, but his 14-yard header skimmed the wrong side of the crossbar. The match ended goalless. Nigeria’s next Group A match will take place tomorrow against Guinea while Mali will face Ghana on the same day.